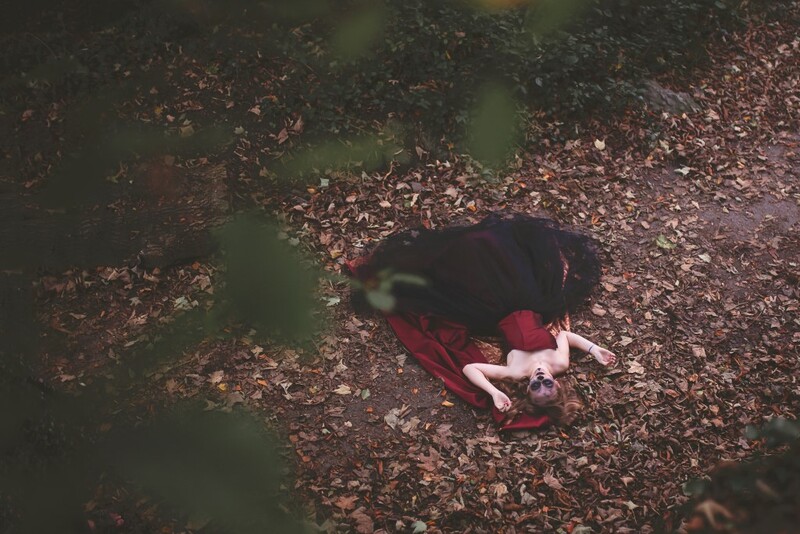 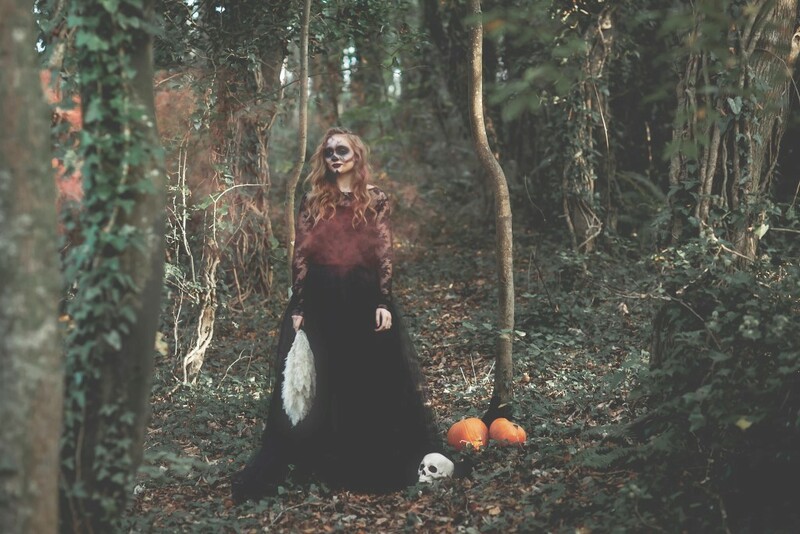 Today I am thrilled to share this frighteningly fabulous Halloween bridal shoot. 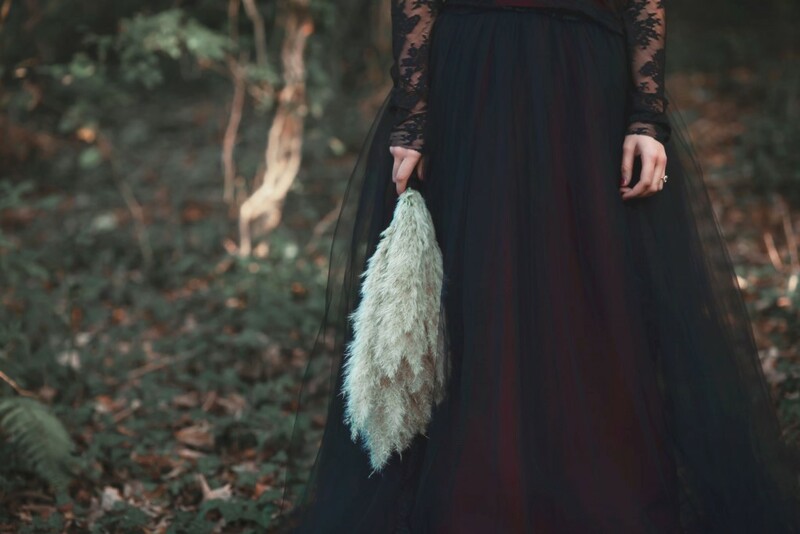 Images were captured by Jenny South Photography with styling by Danielle of Faithful Designs and The Wedding Hub. 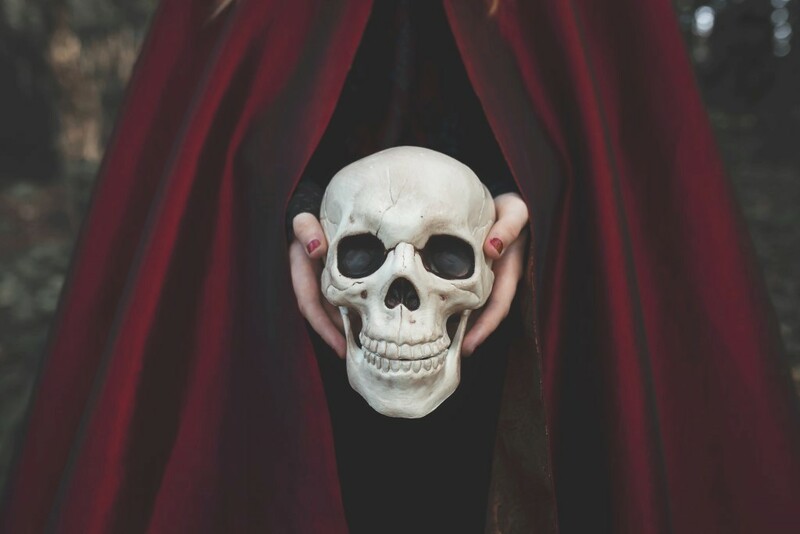 I’ve always found something extremely intriguing about the Supernatural. 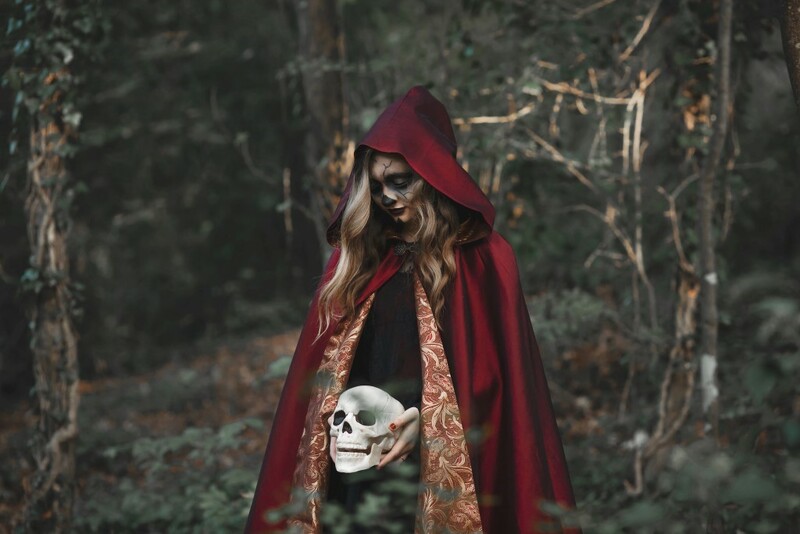 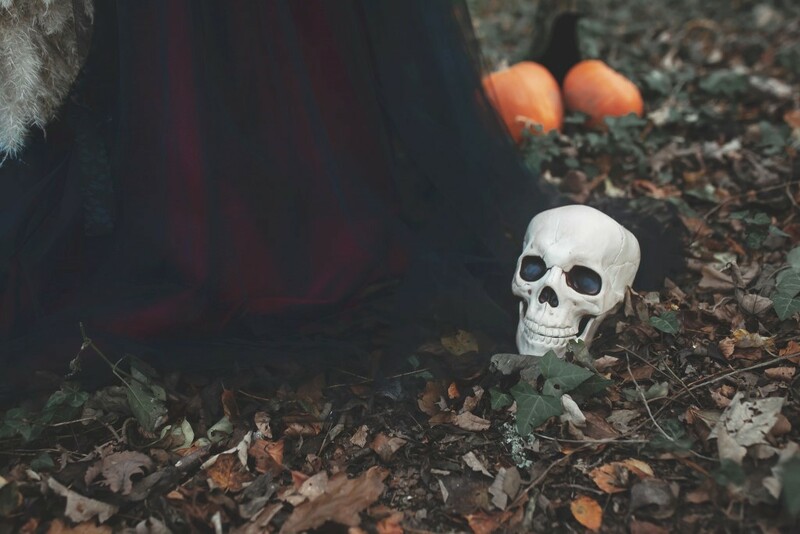 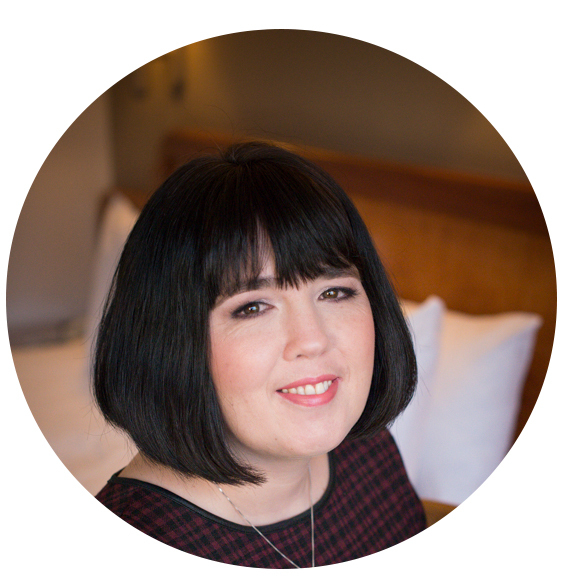 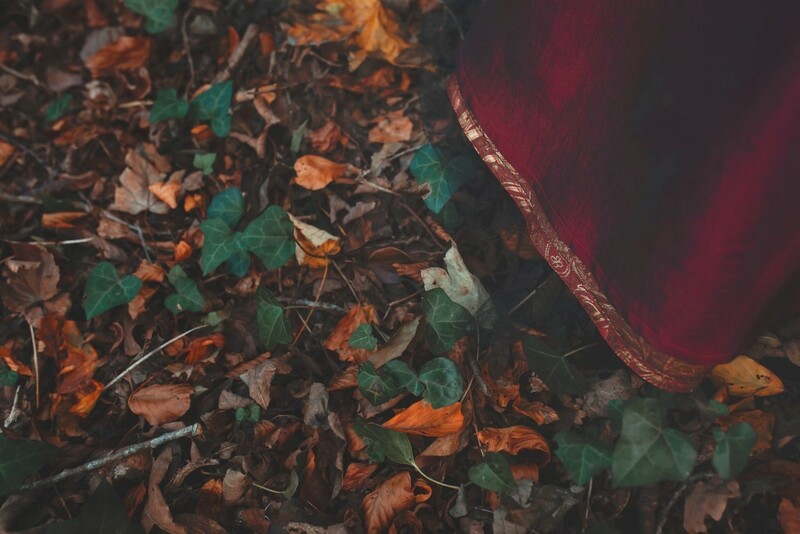 Woodlands, Witches, Dark Binding Ceremonies and the tradition of Blood Devotions… if you’re thinking this sounds like an episode of the 90’s American Television series Charmed you’d be correct. 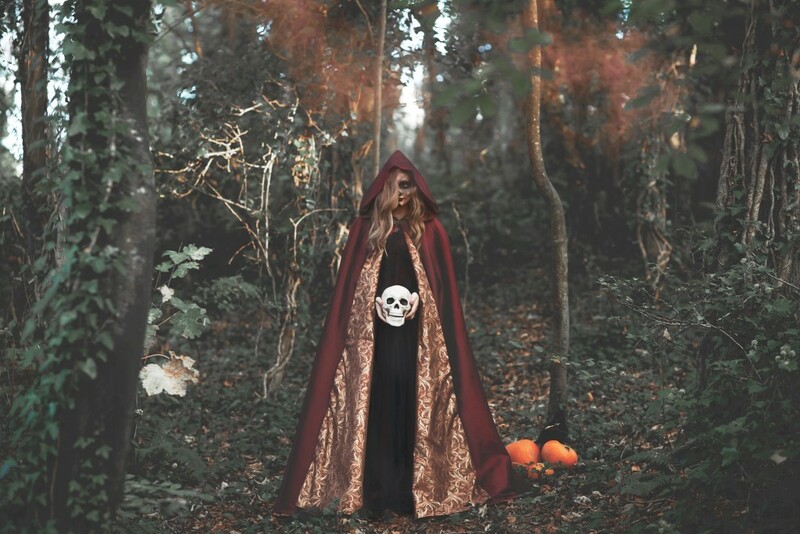 I used to love watching the trio of superhuman sisters casting spells and fighting warlocks. 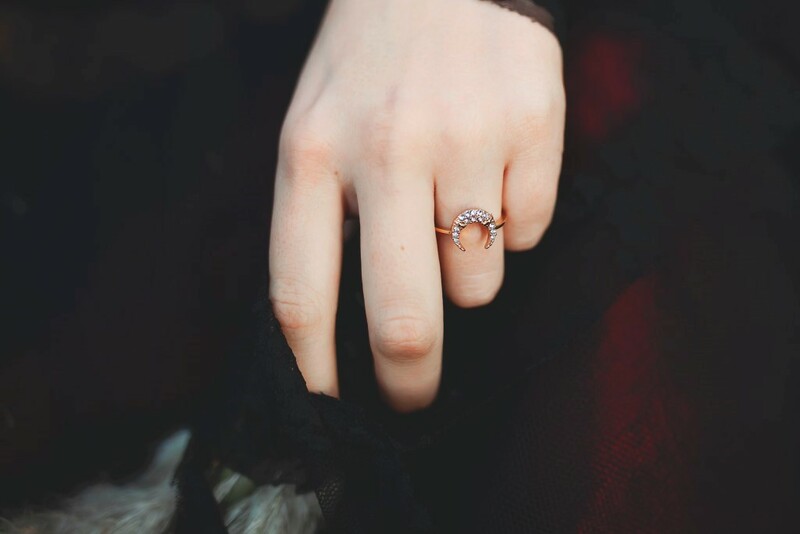 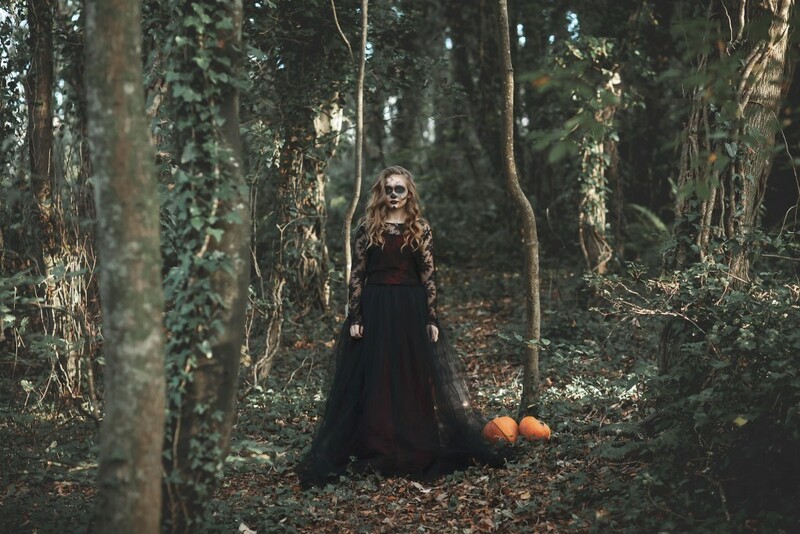 Now I’m not suggesting all couples who choose to opt out of church or hotel style weddings are all wearers of black and love the underworld, I’m just saying that Halloween seemed to be the perfect excuse to do something a bit spooky and indulge in the darker side of what the bridal world has to offer. 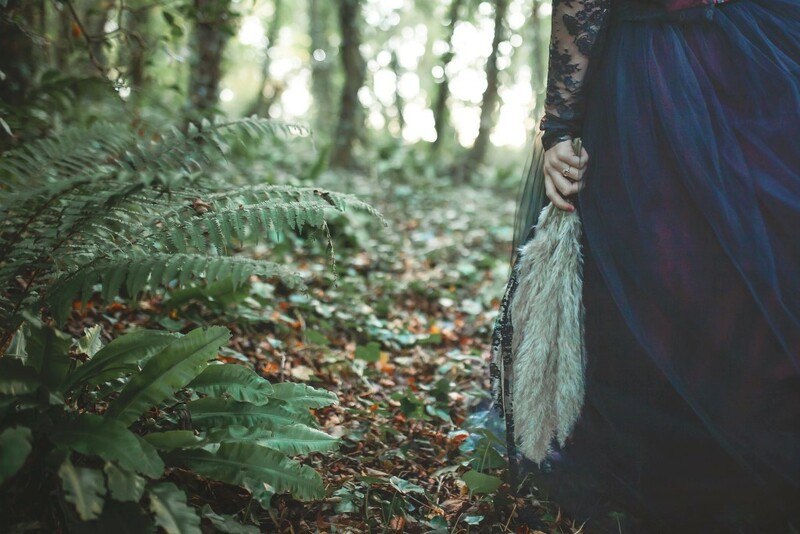 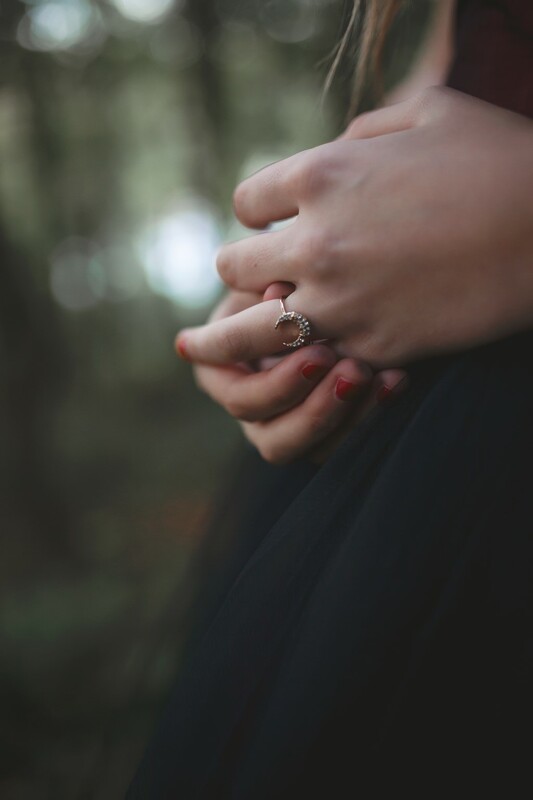 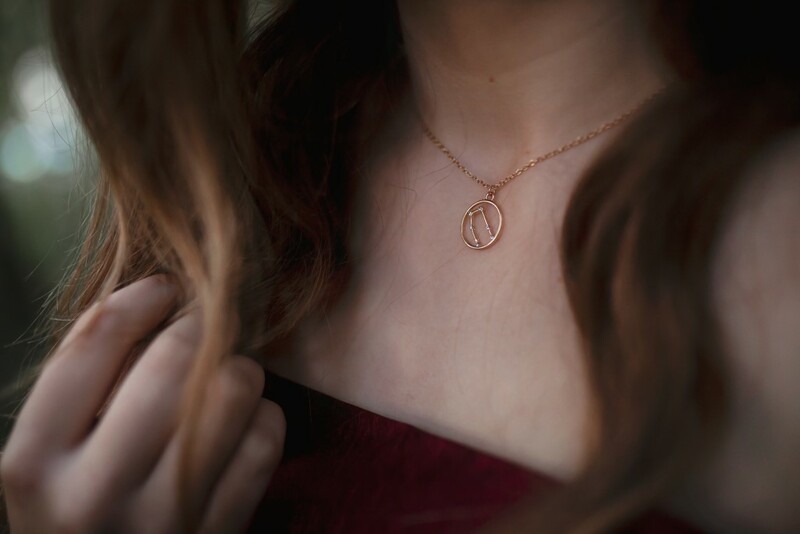 With Symbolic weddings becoming ever more popular you can literally say your “I do’s” and “Tie the Knot” anywhere you like….including the woods by moonlight if you wish! 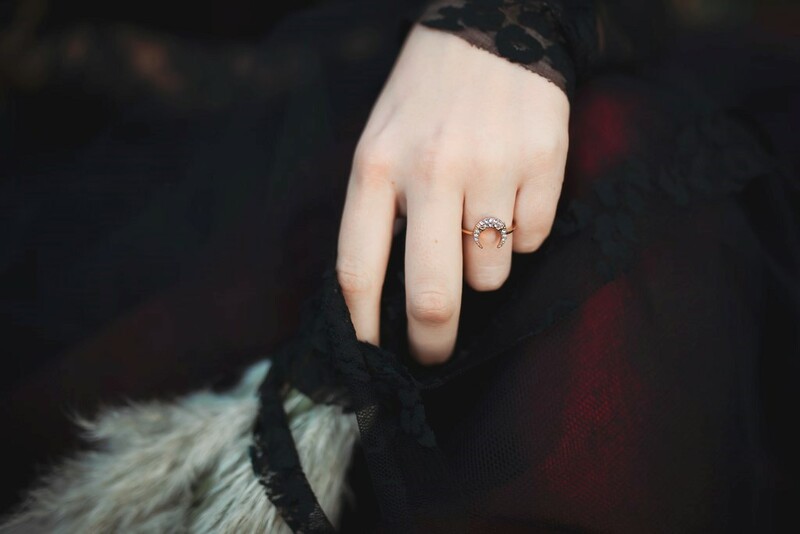 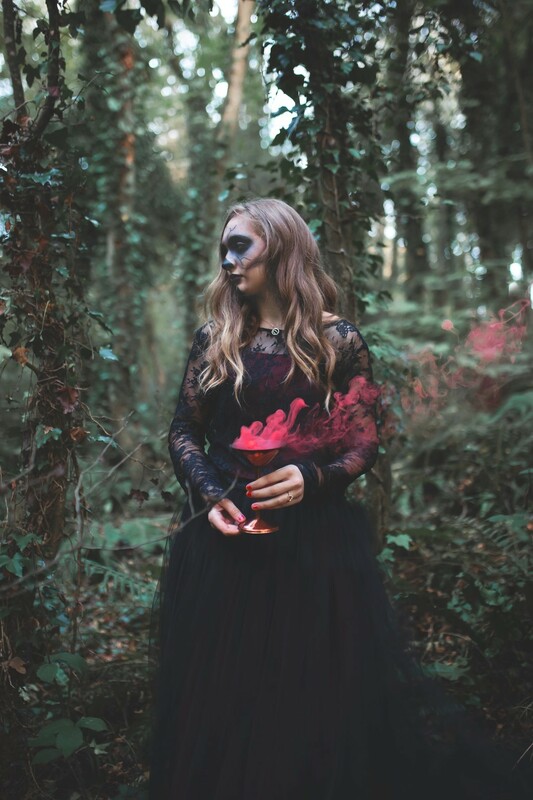 Having a traditional wedding doesn’t have to mean getting wed where everyone else does, why not look in to the old school traditions of the Vikings, Celts or Goths because there are some truly breathtaking ceremonies with deep rooted love and unity at their core…. 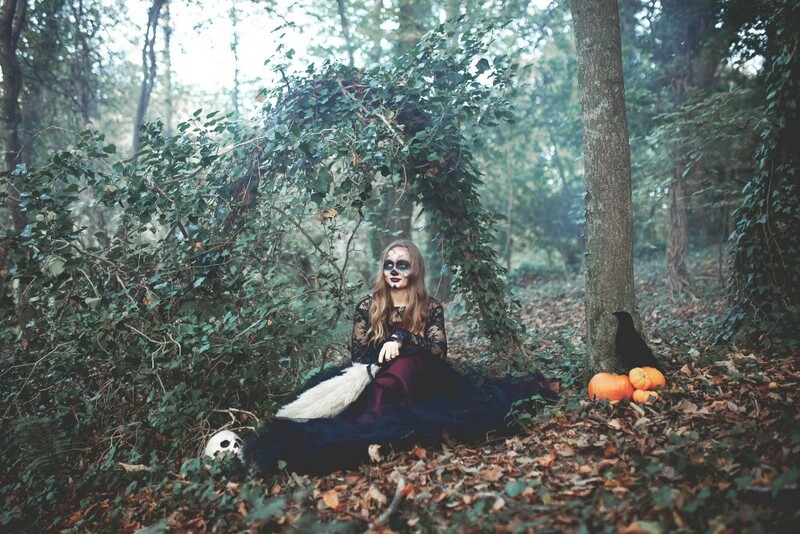 I promise it’s not all jumping broomsticks and drinking each others blood. 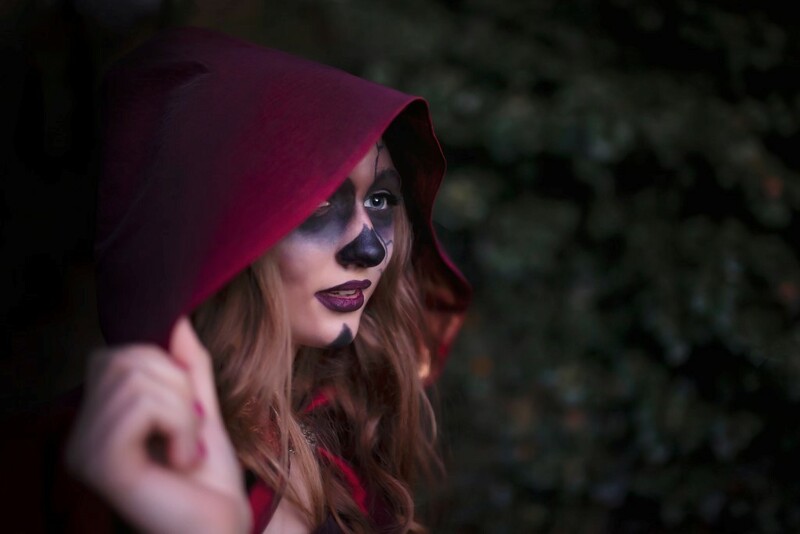 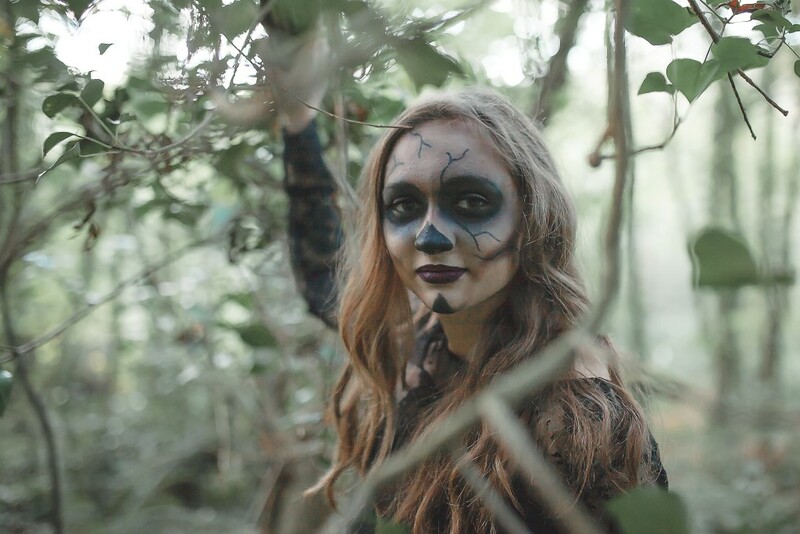 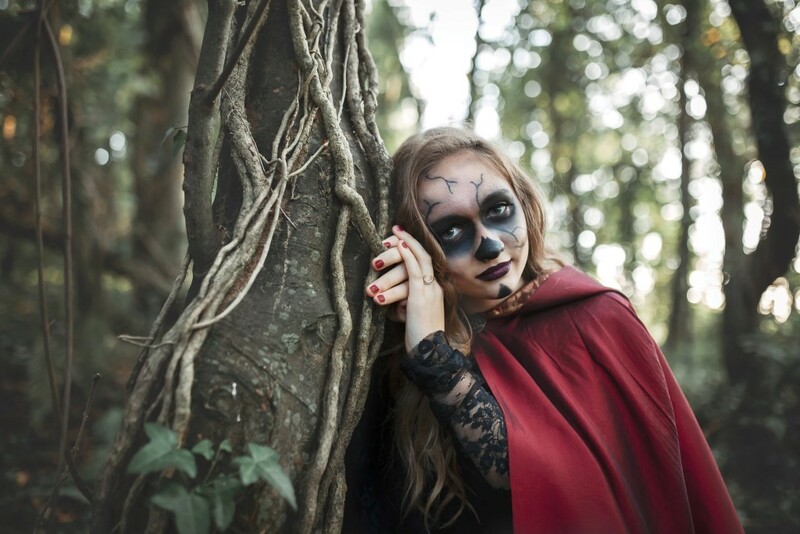 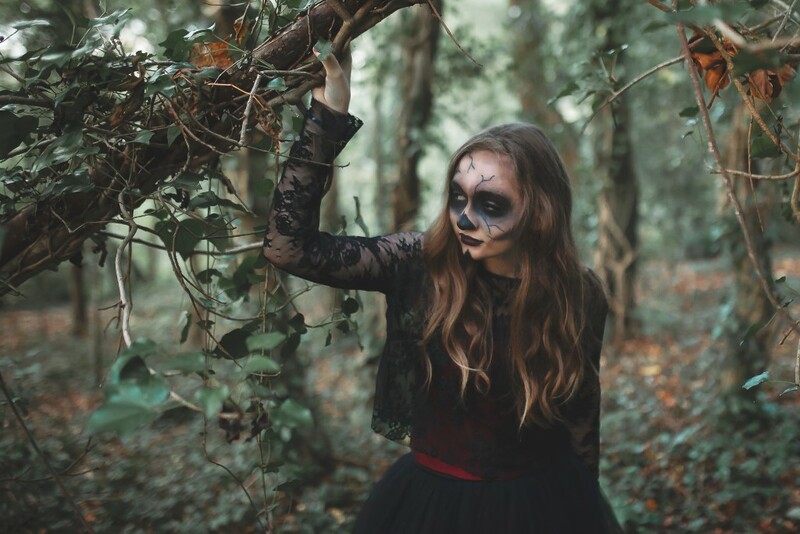 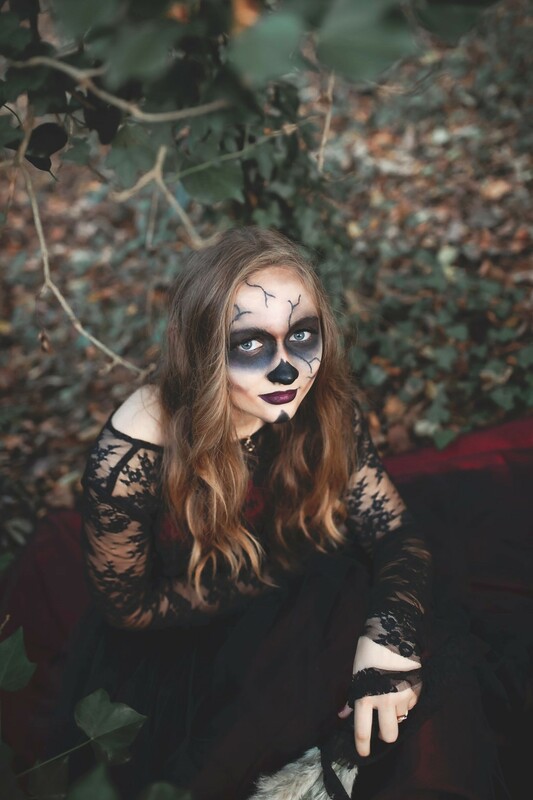 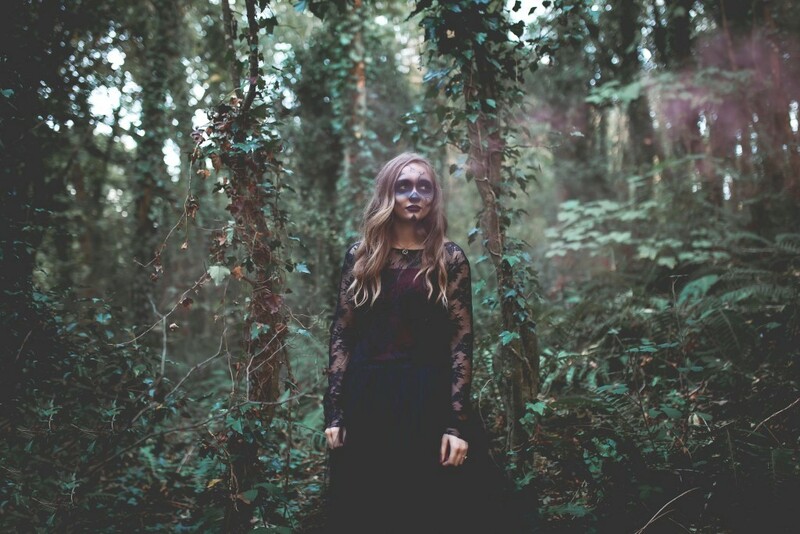 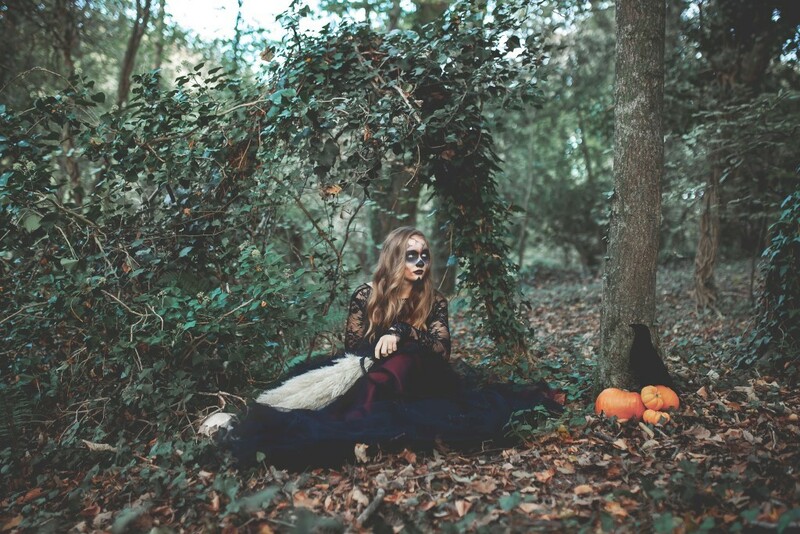 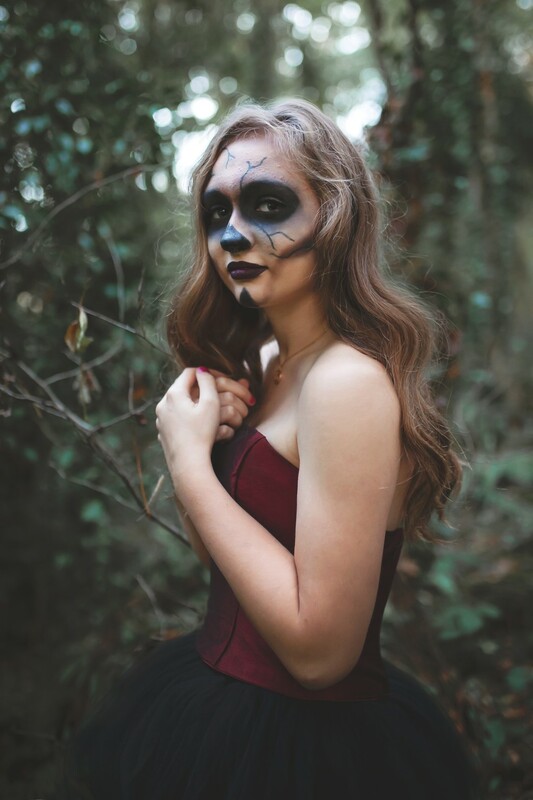 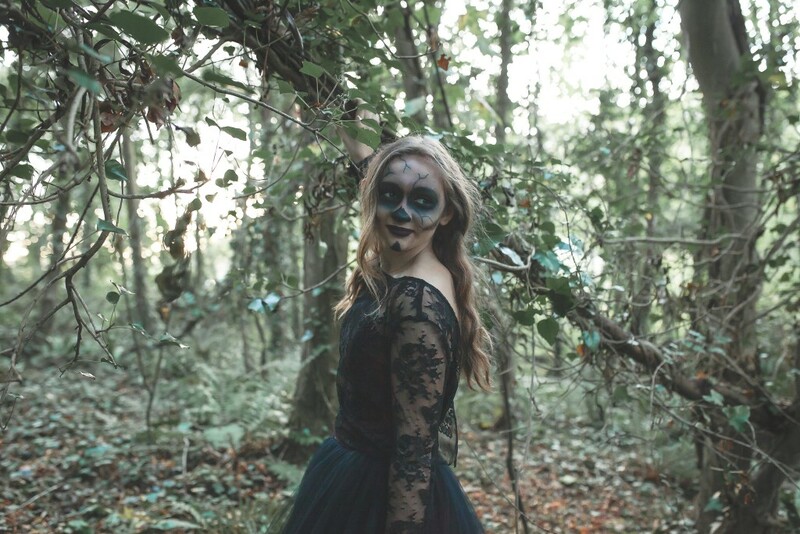 Thanks so much to the amazing creative team for sharing this frighteningly fabulous Halloween bridal shoot. 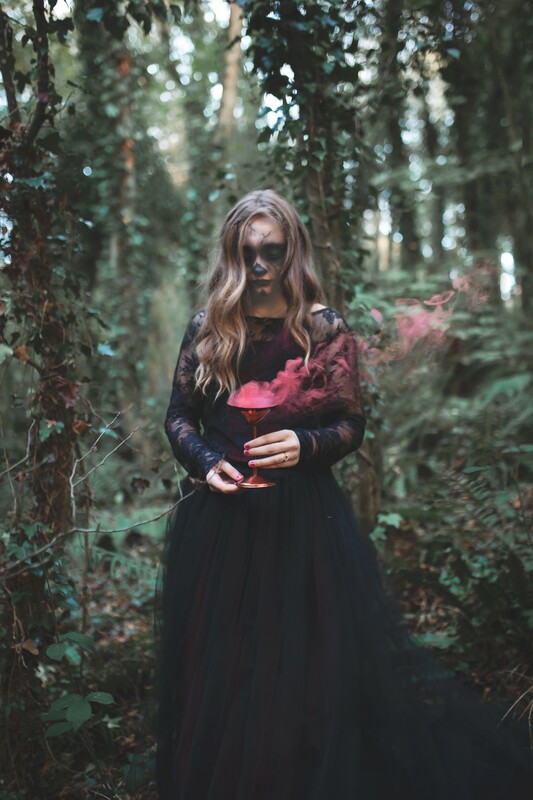 The look is far more in the realm of imagination and nightmare than reality, but is aspirational and can be adapted and toned down for a bride’s actual big day. 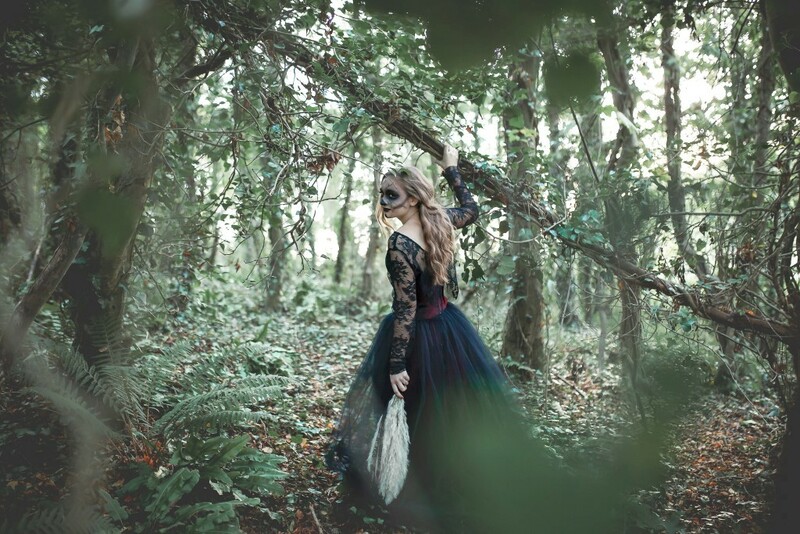 It has an artistic quality and the images have certain seductiveness in their eerieness.